Early Bird Rate Ends November 9! Join us on Nov. 30 for PR News&apos; Media Relations Next Practices Conference at the National Press Club in Washington, D.C., and get the latest best practices on resource allocation for your media relations initiatives, media training, message crafting, crisis management and measurement, as well as tips on using popular and emerging social media networks to engage with members of the media. You&apos;ll get checklists, case studies and practical tips from media relations and digital PR experts. Author, "Shut Up and Say Something"
The PR News PR People & 15-to-Watch Luncheon will take place on November 29, a day prior to the PR News’ Media Relations Summit on December 1. 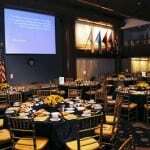 Both events will be held at the National Press Club in Washington, D.C. When registering, you have the option to register for the PR News&apos; Media Relations Conference only or the PR News PR People Luncheon / Media Relations Package. Sign Up for the 2-Day Package! 8:30 - 8:45 a.m.Wake-Up Call: Identity Crises (& Opportunities) for Media & PR Pros in the Digital Transition Mark Hamrick, award-winning business and financial news journalist for the Associated Press, will share lessons learned in his experiences working with PR professionals over his more than 30 years in broadcast journalism and in a decade in the leadership of The National Press Club, with a particular focus on how the digital transition has transformed roles on both sides of the journalist/PR pro dynamic. Chief Improvement Officer; Author, "Shut Up and Say Something"
2:00 - 2:15 p.m. The Drive Toward Integrated Communications: How NASCAR Overhauled its PR ProgramAfter an unprecedented 18-month research-driven review of its business, the first step in NASCAR&apos;s Industry Action Plan was to overhaul its communications practices. In 2011, NASCAR made the initial move to transform its entire media relations, PR and marketing department toward a more integrated approach. David Higdon, NASCAR managing director, integrated marketing communications, takes us under the hood to show us how the department went from reactive to proactive, from working in silos to working closely with business units, to chasing quality coverage rather than measuring quantity of coverage and embracing social media in cutting-edge ways, including a first-of-its-kind partnership with Twitter. In October 2012, NASCAR unveiled a Fan & Media Engagement Center designed to transform the way it reacts to media and measures tonality of coverage. This discussion will help PR professionals determine how an integrated marketing approach can help you and/or your business. 3:15 - 4:00 p.m. Media Pros Talk Back & PR Pros Listen (and vice versa)Get ready for a no-holds-barred exchange of ideas, experiences and war stories between top journalists across a variety of media platforms and you, the PR practitioner. First, you will hear opinions and insights from our media panelists and find out what they need today from PR pros, and why. You&apos;ll learn what kinds of content they have to produce—and how you can work with them and get more coverage as a result. And you&apos;ll be able to fire off questions of your own in this highly interactive session. 4:00 - 4:30 p.m.Afternoon Keynote: The Power of Online Storytelling Most marketing and PR professionals believe that content marketing is a new and revolutionary method of telling your brand’s story to journalists and directly to your customers. That couldn’t be further from the truth—what’s new and revolutionary is the power to move your content rapidly and widely. But without a solid foundation in storytelling, your content messages get buried by competitors. In this timely closing keynote presentation, Joe Pulizzi, author of Managing Content Marketing, will share the secrets of effective and shareable content creation. PR News Digital PR Master!About the PR News Certificate in Social Media: The Certificate in Social Media is a new program offered by PR News in response to a growing need by PR professionals like you to prove your worth and knowledge within your organization, among your peers and to your business partners. Being a digital leader today means constantly staying ahead of the curve and gaining the requisite knowledge and tools to execute smart and effective digital communications initiatives. By attending PR News&apos; Digital PR/Social Media Conferences, you can do both. Each PR News Digital PR/Social Media conference you attend will come with points toward your Certificate in Digital PR. Once you attend 4 PR News conferences within a 24-month period, you will earn your Certificate and become a PR News Digital PR Master. This elite group of PR Professionals, PR News Digital PR Masters, will receive industry recognition as being one of the top Digital PR Pros. PR News will honor an annual class of Digital PR Masters at one of its signature events. 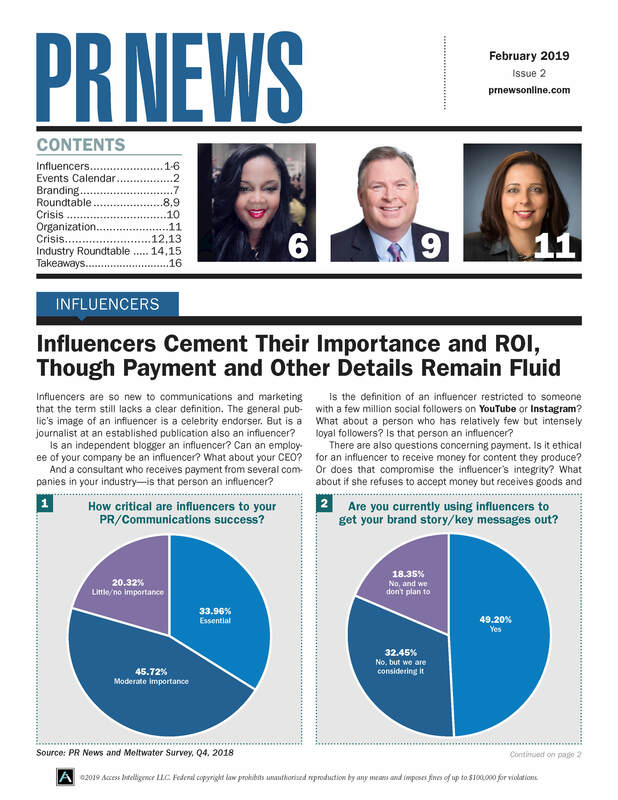 As a PR News Digital Master, you will also receive exclusive benefits, such as discounted rates on all PR News products and events.There is no additional fee to earn points or to receive your Certificate. It is the goal of PR News to provide this one-of-a-kind opportunity to our PR community while raising the bar on digital communications excellence and showcasing top talent in this key area of PR.PR News holds a minimum of 3 conferences each year focused on Digital PR and Social Media. Simply attending these conferences (and learning while you’re there! ), you will receive 8 Points toward your Certificate in Social Media.Each registration comes with the materials provided by the speakers and a personalized certificate of completion for attending the PR News Social Media Measurement Conference. I thought it was a wonderful event and I learned a great deal. It was an incredibly valuable seminar. Each registration comes with the materials provided by the speakers and a personalized certificate of completion for attending the PR Media Relations Conference. Presented by PR News, this conference offers a limited number of sponsor and exhibitor opportunities to connect with these communications professionals. To find out how to become a sponsor, contact Diane Schwartz, SVP & Group Publisher, PR News at dschwartz@accessintel.com or 212-621-4964. PR News does not have a room block for this event. Please go to the link here to view the list of hotels near the event location. 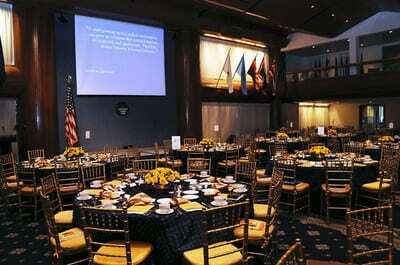 About the National Press Club: The National Press Club has been a part of Washington life for nearly 100 years. Through its doors have come all of the Presidents of the United States since Theodore Roosevelt, as well as kings and queens, prime ministers, premiers, senators, congressmen, cabinet officials, ambassadors, scholars, entertainers, business leaders, and athletes. Its members have included all of the Presidents of the United States since Warren Harding and most have spoken from the Club&apos;s podium. Tours are available upon request for Media Relations Forum attendees. Questions? If you&apos;d like to register by phone or have questions regarding the program, please contact, Saun Sayamongkhun at saun@accessintel.com; 301-354-1610. The PR News family of products includes the weekly publication PR News, PR News Webinars and Workshops, the Platinum PR Awards, PR People Awards, CSR Awards, Nonprofit PR Awards, The 100 Best Case Studies Book, Guidebook to Best Practices in CSR; Guidebook to Best Practices in Measurement, Digital PR, Crisis Management and Media Training Guidebooks and PR News Webinars. Justification Letter to Attend: The PR News Media Relations Conference will help you discover and implement ideas that deliver results. It will train you to search for innovative solutions. It will provide opportunities to make valuable connections with other PR and communications professionals who have solutions you need. And, it will prepare you for the road ahead.You probably already recognize the value of attending this conference, and we’d like to offer some assistance to help you convince your supervisor and organization to approve the costs. Download the “Justification to Attend” letter—everything you need to present your business case. The template is simple to fill out and drop off with your supervisor for approval. It was a fantastically event, and many of the strategies delivered today will inform our company’s social media policies moving forward. I thought it was incredibly relevant to the audience. I walked away with several key ideas that I can’t wait to implement on my clients behalf.